The standalone versions will still display light colors, even when the system is in Dark Mode (Apple requires an update of applications to allow dark mode). If loaded inside an application running in dark mode, our plug-ins will not display their settings window properly (but there is still no audio app compatible with dark mode so far…). There is no such problem in light mode. 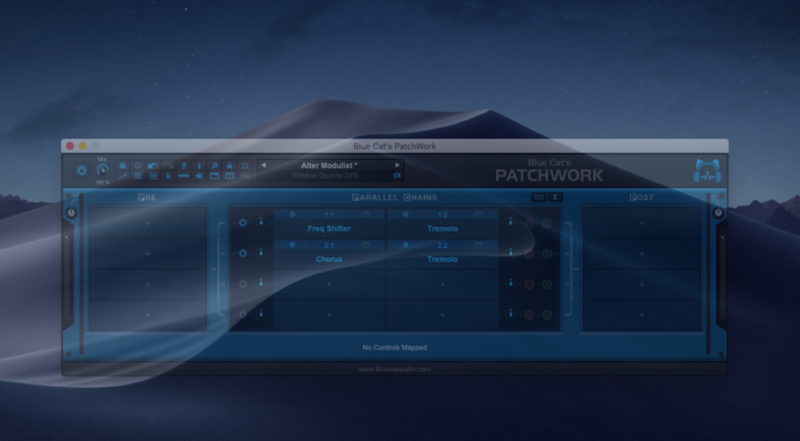 For the same reason, Blue Cat’s Plug’n Script export window is not available when loaded in a application running in dark mode. We will be working on updates in the coming weeks to remove these limitations, but they should not prevent you from running our software on Mac OS Mojave.